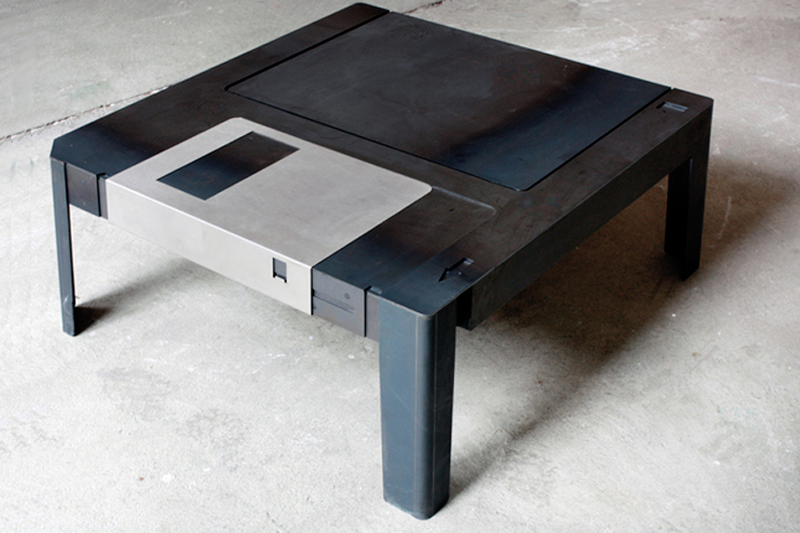 the ‘floppytable‘ reminds us of a time when we once used diskettes for keeping digital file, except now as a life-size piece of furniture for storing material things. 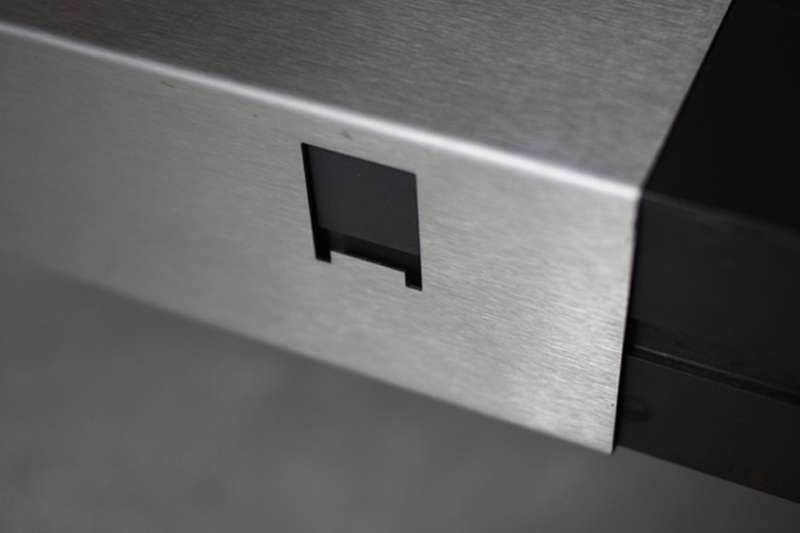 the hot-rolled steel table by axel van exel and marian neulant features a ‘metal shutter’ typical of floppy diskswhich can be slid across the length of the table revealing a storage area. 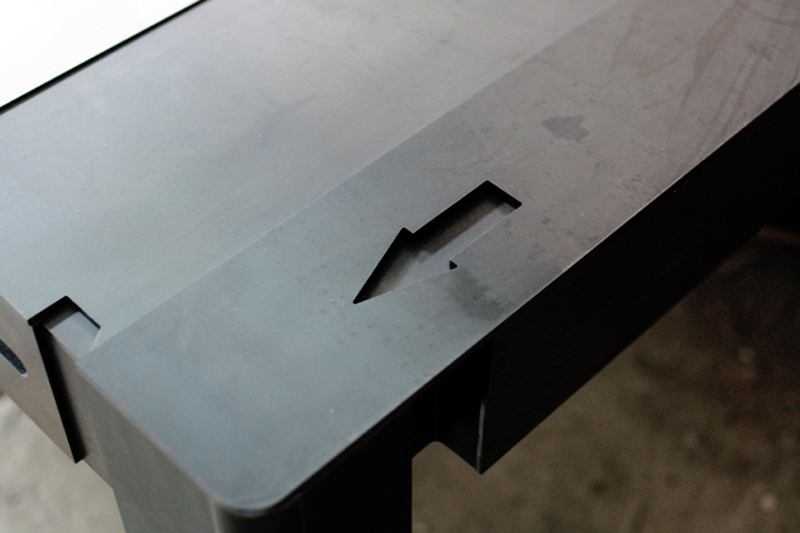 each hand-made unit is lasered with a serial number as a mark of authenticity. Thank you very much for sharing our floppy table! Design-BOOOOOOOMMM! *PLAYS 90S PSA RAPPER MUSIC* don’t coffee that floppy! Hahaha! I love it! Das kleine wunder! Wow, what is the storage capacity of this floppy 😉 . Looks like a perfect match for my study!! !